Pronunciation is a lot like wearing trousers - you don’t need it until it really counts - like meeting important people and closing deals. It’s no wonder then that there are so many people in the world that type in “How do you pronounce Pardot”, into Google year after year. But what is Pardot, why are digital marketers so interested in it as a solution to their marketing automation needs? So, what is Pardot, how did it grow from a humble $8 domain name into a billion dollar company, and how do you actually pronounce 'Pardot' properly? ;tldr. If you already know what makes Pardot tick, but not necessarily the sound it makes - click here to skip the explanation and find out. Founded in 2006, Pardot is a marketing automation solution that specialises in scoring your leads and nurturing customers to the point where they’re ready to buy. This saves businesses and marketing agencies alike when it comes to longer sales cycles that require extra attention. Pardot was acquired by SalesForce, a popular CRM, in 2013 for $2.5 billion, and officially became part of their suite of products. As far as marketing automation platforms go, Pardot offers a wide range of solutions and tools for startup companies and agencies, all the way up to multinational enterprises. David Cummings, the founder of Pardot, notes on this personal blog that the naming of his company way back in 2006 had more of a practical reasoning behind it than any divine or artistic intervention. Not owning any good domain names for his company, he wanted to find something unique. After using many different domain name suggestion websites and applications, he resorted to the English dictionary - to no avail. Since he could not find a name or word to do with 'marketing' that met his criteria, he tried 'market' and founded Pardot in December that year. However, David and co-founder Adam Blitzer only started working full time for Pardot in March 2007, with the original model being a pay-per-click bid arbitrage platform to generate leads from potential technology buyers to sell them to technology vendors. It was only in May 2007 that Pardot became a marketing automation platform. Initially, it focused on serving the needs of small software companies. By August 2007, David quietly launched their product and signed their first customer later that year. By as soon as October 2008, roughly one and half years after starting, Pardot had signed their hundredth customer. David continued working hard and expanded his company, adding the services of dedicated software engineers and salesmen. After adding email marketing and functionality to their services in 2009, Pardot had officially passed one million dollars in annual recurring revenue and attended their first Salesforce.com Dreamforce conference at a startup sponsorship level with a modest kiosk. David's oddly named company had started to gain notoriety in the press as well. In 2010 the Atlanta Business Chronicle named Pardot the #1 fastest growing technology company in Atlanda with a 42 000% growth rate, and Pardot successfully published Think Outside the Inbox to critical acclaim. Pardot started to expand outside of the USA, and launched their London office through a joint venture in December 2010. When Pardot returned to the Salesforce.com Dreamforce conference in August 2011, they were identified as a platinum sponsor with one of the best positions on the entire floor, giving notice to the entire marketing automation market that Pardot was a serious player with strong momentum. When the 2012 Atlanta Journal Constitution named Pardot the #1 place to work in Atlanta, Pardot had passed the $10 million dollar mark in annual recurring revenue. 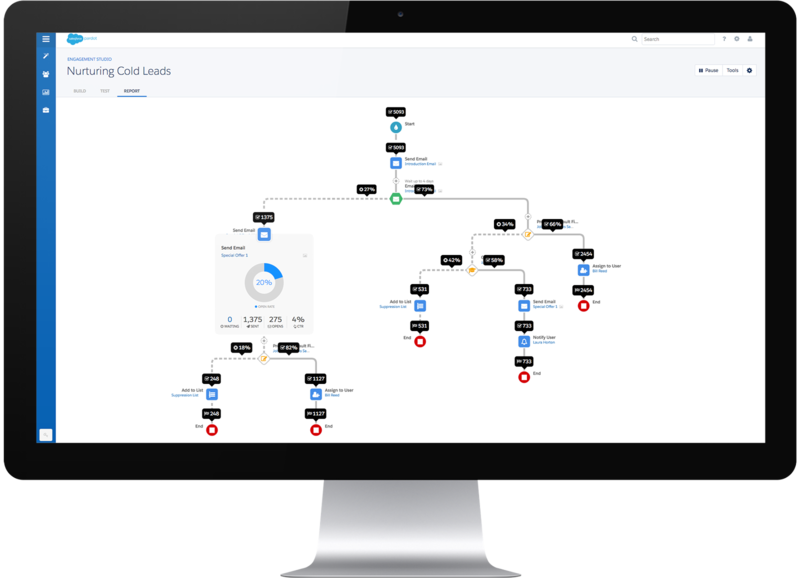 Pardot had become a major player in the marketing automation marketplace, competing with the likes of HubSpot and challenging traditional digital marketing techniques. Finally, in October 2012 ExactTarget acquired Pardot for $2.5 billion dollars. So… How do you pronounce ‘Pardot’? Now that you know more about what makes Pardot tick, it's finally time to understand how to pronounce the word. Proper French pronunciation would suggest the word would be pronounced ‘par-dough’, a rationale which many people around the world understand as word-law. However, the truth is a lot more straightforward. According to Pardot’s official Twitter account, their brand is pronounced Par-DOT, with the T pronounced. This is because Pardot is derived from a Latvian verb meaning to market or to sell. “I liked that it was easy to pronounce and spell, so I headed over to BustAName to see if it was unregistered, and, much to my surprise, it was available. I registered it immediately for $8 and the rest is history,” David said. Whether we agree upon the ease of pronunciation of 'Pardot' is up for debate - but it didn't stop David from growing an $8 domain name into a $2.5 billion brand. If you find yourself going ‘Par-dohh’ everytime you need to use marketing automation, Demodia can set you up on your way to marketing automation nirvana. Whether you prefer Pardot, HubSpot, or any other marketing automation tool, Demodia will give you the tools you need to market your product and turn a profit no matter your challenges. Let Demodia optimise your marketing workflow today.